Congratulations to all the owners who took home the hardware, as the motto of this year’s Fantasy Basketball was. To say thank you for my advice.. Please write a little something special on the bottom of this article, it would be greatly appreciated as it will be used to attract more attention to BEAST DOME in the future. Thank you BEAST DOME NATION for continuing to comeback day after day reading my analysis and taking my advice. Come back in August when FANTASY FOOTBALL comes back. I will have you covered like Charles Woodson on a high scool WR. 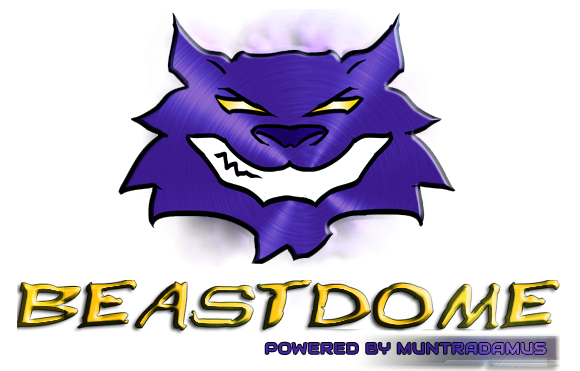 For all you Fantasy Owners who are still competiting for that Championship this week..
Talk Fantasy Basketball & Baseball 24/7 during this crucial championship run, Join the BEAST DOME NATION which gives you access to the community chat room all for free. THANK YOU BEAST DOME NATION FOR A GREAT SEASON! Wow I don’t even know where to begin haha. This was my first season playing fantasy basketball with my friends. It was a 14 team league so you would imagine that pickups are limited and tough to come by, yet I was able to stay ahead of the game thanks to Beastdome. I came across BeastDome through a random web page one day and I found the information helpful enough to bring me back the next day. Eventually I came to check everyday and it made a huge difference in terms of putting me one step ahead of the competition. Predictions, trends before they trend, injury updates, game reviews and summaries, everything you needed to be successful was all located here. I was able to pick up quite a few successful waiver wire players such as Lin, Pekovic, Brooks, and especially Dragic throughout the season and this really helped me position myself for the playoffs(1st seed,Otherwise I would have lost). Whenever my players got injured, or when I needed reassurance on a trade, Munt’s advice was exactly what the doctor prescribed. I had the best team by far in my league, and even after injuries to critical players such as Rubio, Pekovic, Brooks, and Drose who only played 1 game throughout the whole playoff for me, I was still able to win my championship through the advice of Munt and his waiver wire. All in all it has been a great experience for me playing fantasy and winning it all in my first season, and I definitely couldn’t have done it without the help of Muntradamus and Beastdome.Thank you for the great advice throughout the season and thank you for helping me win my championship! I want to personally thank you for this site and your timely advise given everyday. Because of your advice I took a struggling, injury ridden team from the basement to the championship! I started reading your post one day, and making some moves and my teams started to turn things around and becoming winners. This didn’t just happen in one league, but I played in 3 and I finished 1st, 2nd and 3rd in them. And if I would have made moves earlier, when you suggested them, I would have won the others as well. But it’s all good, I’ll get all 3 next year. So thank you. And as I move on to a championship in baseball. I will be taking your advice more often, like right now, lol. I only started looking at your site past mid way through the basketball season so my team was pretty much bad. This was my first year watching basketball and I did some bad trades that hurt my team. Ever since I started taking your advice I jumped 5 spots in the standing to the 2nd seed where i got a bye. The trade deadline passed so my team wasn’t great. I ended up losing in the second round but your advice definitely was the reason I even made the playoffs. My draft was terrible too so thanks for giving me great advice and making it super easy for me to get that advice. I’m doing baseball now so I plan on taking all of your advice to get me a championship. I enjoy all the articles you post and hope you keep on going because it is really helpful. thank you! I gotta say, your advice has been superb. I won my first fantasy basketball title this year and your advice has helped me tremendously. I’ll be here for fantasy football for sure. Keep up the good work, you are officially my fantasy guru! Therefore, he truly cares about his community and would do anything to promote your team in the most positive way. Also, an update on my fantasy baseball team, I am now 2-0 at the moment in a 14 person H2H “raw fantasy score” league. (2nd place). Follow M’s guidance, and you will not be let down. I most definitely recommend him to anyone desiring a legit analysis (Plus, he is doing this all for free!). Wonderful person, Knowledgeable articles, BEASTDOME will not let you down! Join Today! All you can ask for regarding fantasy advice is for someone to back up said advice with words that make sense to you so that you can make a decision that is right for you in a given moment. I’m only starting to get to know Muntradamus (Muntz) and he is already my most trusted fantasy advisor…period…and this is just with being on the BEAST DOME chat boards for about a week. He helped me win my fantasy basketball season. I will admit, I was in pretty good shape to win heading into this final week BUT I did not have to do all the work trolling around the internet to tidbits of advice, Googling here and Googling there. Right now and in the future, whenever I have a fantasy dilemma, in any sport, I know where to go to help me pull the trigger on a deal or a transaction. I must say what I like most about Muntz thus far, and I hardly know him, is his willingness to help, when he can (and I can’t believe how much he makes himself available) but more so that he’ll tell you like it is. He’ll call it like he sees it, backing it or up with facts and with gut. He’s not wishy washy or apologetic. In the end we all make our own decisions and regardless of how those (fantasy) decisions may or may not turn out, I feel that Muntz will be with you in the morning to help with: “OK, what do I do next?”…and that speaks volumes to me. Keep it up Muntz and I am looking forward to winning all of my fantasy leagues (or at least being in a position to win them…lol) for years to come. Thanks Muntz! If you didn’t already know, Muntradamus is a fantasy genius. He sees trends before they happen and analyzes statistics that no other experts look at. Munt will always respond to all of your questions and take your team from average to champion status. I had never tried any fantasy sports before a few months ago, and yet I won all 3 of my ESPN basketball leagues with his help. 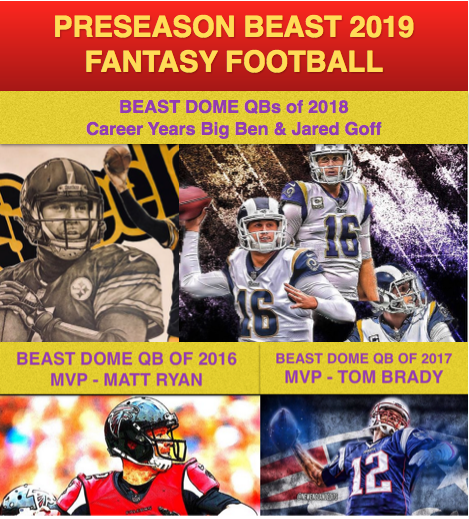 There is a plethora of useful content on Beastdome.com and I highly recommend it to fantasy amateurs and experts alike. Thank you for everything so far Munt, and I look forward to many more happy days of fantasy dominance with your guidance! Muntradamus got me to the finals. Hands down. I don’t want any of my friends to ever find out about him or BeastDome.